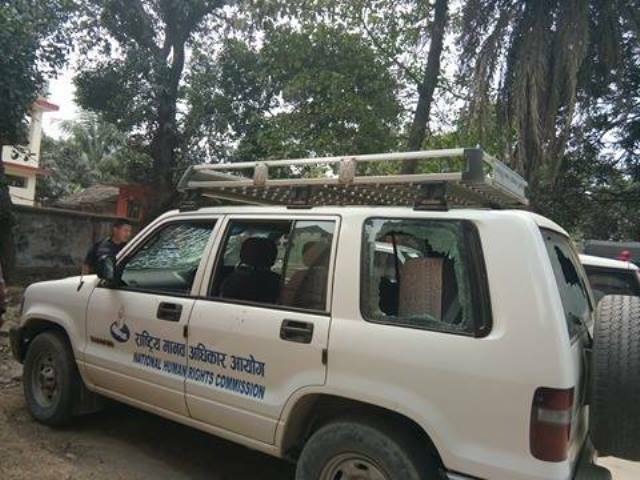 Ranjan Mehata, 28 of Maleth VDC-2, brother of the deceased Sajjan Mehata have vandalized the National Human Rights Commission’s vehicle (Ba 7 Cha 7479) at Nahar chowk of Maleth-2 in the district on March 9.The vehicle was vandalized when NHRC team, including its spokesperson Mohna Ansari, were returning back after meeting families of the 3 people who died in a clash on March 6. 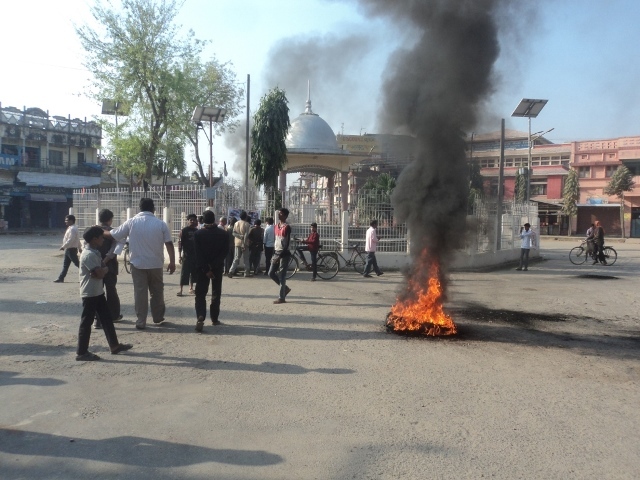 UDMF cadre also attempted to set it on fire by pouring petrol after vandalizing it – said Jhangkar Rawal, Chief of eastern regional office of commission, Biratnagar. 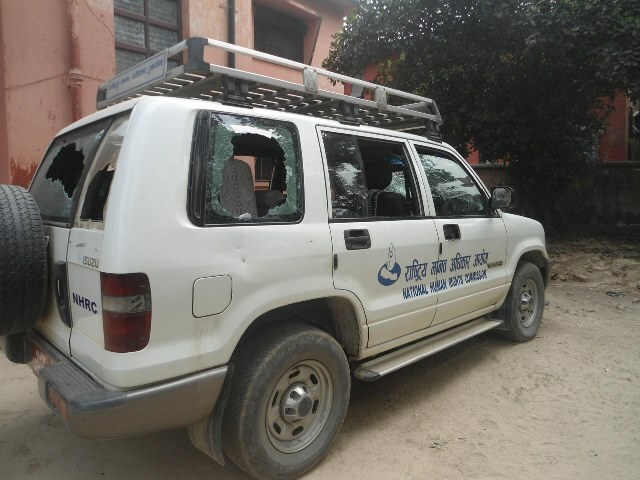 Earlier, United Democratic Madhesi Front (UDMF) cadre had vandalized the NHRC vehicle (BA 5 Cha 7473) infront of Saptari District Court in Rajbiraj Municipality-1. 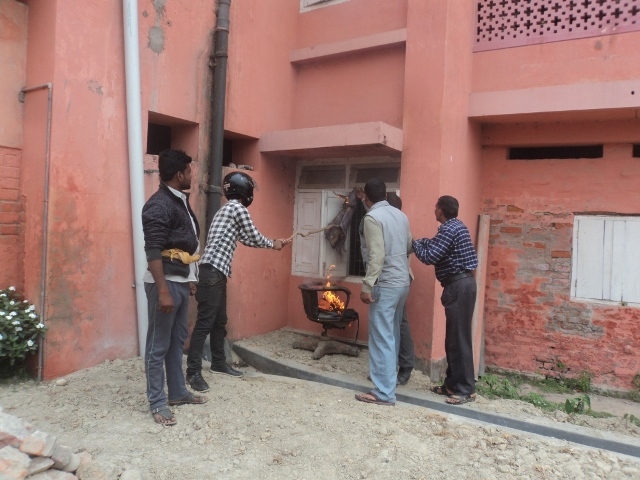 Similarly, UDMF cadres also tried to set fire in District Land Reform Office , Rajbiraj Municipality-1. Members of the front also vented their ire by vandalizing more than a dozen vehicles in the East-West Highway.